I am an avid fan of Mortal Kombat. It was the very first game I played with my very first console box, Nintendo NES way back in the mid 90s. 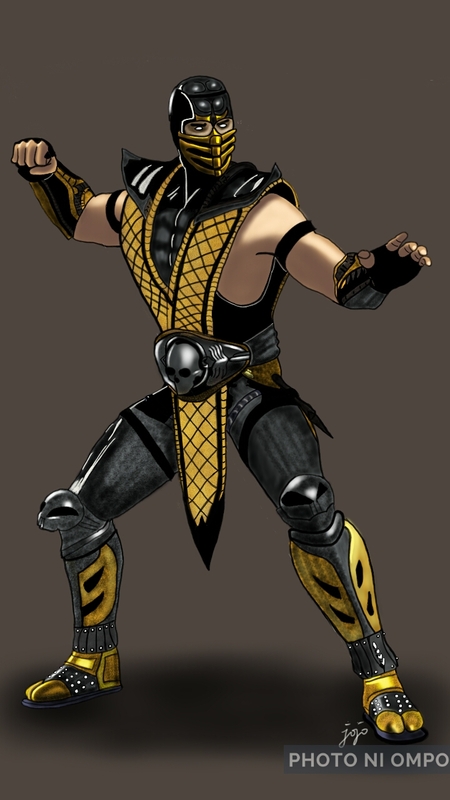 One of my favorite ninja character of the game was Scorpion. The guy who can throw a lasso-like spear with a bird’s beak straight out of the palm of his hands. This spear attack was a formidable weapon against the other Mortal Kombat characters. He was like the mutant Wolverine whose claws comes out of his hand. In drawing Scorpion, I used the Sketchbook app of my Android device. I started by sketching his form and countenance using an internet image of him as my model. It’s quite rough since this will only serve as a guide in drawing a complete picture of Scorpion. Then I painstakingly applied the colors while putting in the necessary details in separate layers on top of the sketch which I made earlier. 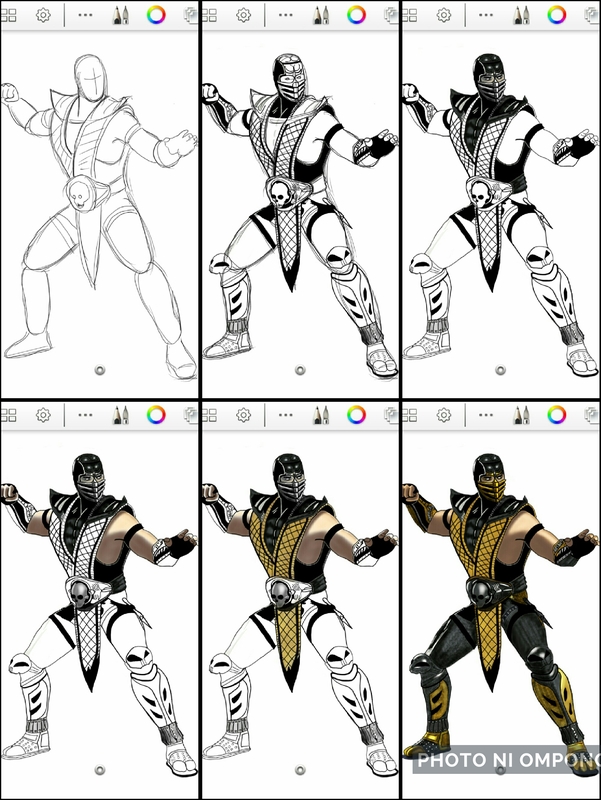 The image below shows the transition from a rough sketch of Scorpion into a full colored illustration of him. It took me about 3 hours to complete my illustration of Scorpion.